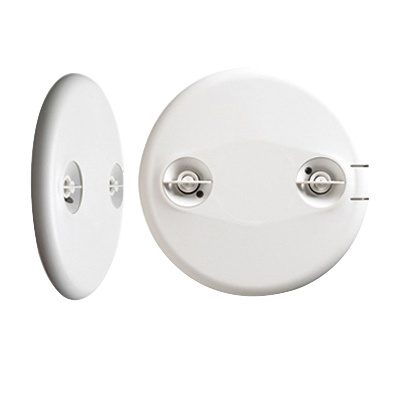 Wattstopper Isolated relay low-voltage occupancy sensor in white color, features ultrasonic technology gives more comprehensive coverage. It has sensing distance of 1000 Sq.ft and 360-degree viewing angle. Relay sensor requires 24-Volt DC voltage and 40-Milli-Amps current for operation. It is suitable for many spaces, including restrooms, large offices, open office areas and hallways. It has a dimension of 4.5-Inch Dia x 1-Inch. Sensor with DIP switch, has response time of 5 - 30 mins. It is ceiling mountable. Sensor is UL/cUL listed and meets NEMA standards.